E-commerce shops earned more than one trillion dollars in revenue last year. You deserve your fair share of that money. The only way to start capturing e-commerce dollars is to set up your shop. There are dozens of viable options in the market. Yet, many business owners are still not selling online. What’s the deal? It turns out that the most common problem is an overabundance of choice. With dozens of viable platforms to choose from, it’s hard to know where to start. Luckily, there is a way to clarify this decision-making process. The key to demystifying e-commerce is to learn what all platforms have in common. Some features are so basic that you will see them everywhere. These include listing products, issuing discount codes, and securely handling payments. You shouldn’t spend much time worrying about these, since they’re guaranteed to be a part of any professional platform. Instead, focus on where the platforms differ. For example, pricing is radically different from platform to platform. Some operate on a monthly fee, while others take a commission. Likewise, not all platforms offer built-in social media integration or other marketing tools. Your marketing needs could have a big influence on your decision. If you really can’t decide, or just don’t want to think about it, you can use Shopify. They are the market leader with reasonable pricing and a great reputation. However, if you’re willing to do some research, you may find that a different platform is a better fit for you. This is not a one-size-fits-all sort of decision. 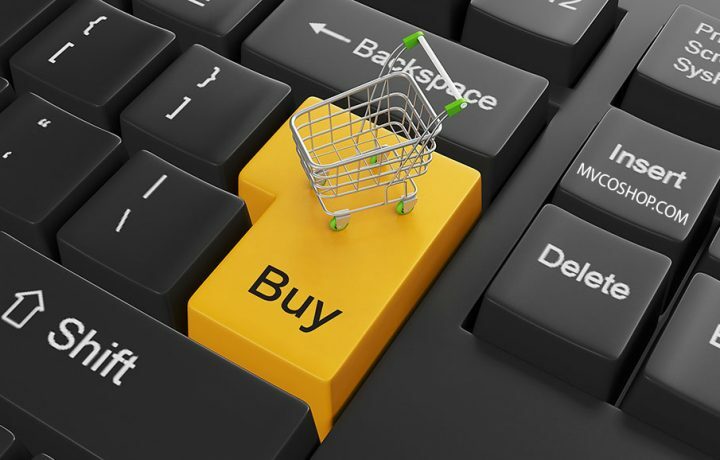 Here’s a list of the top four e-commerce platforms and what they have to offer. Shopify is a robust platform with a great reputation. They’ve been an important part of the e-commerce market since their foundation in the early 2000s. After their successful IPO in 2015, you can trust that Shopify isn’t going away any time soon. Setting up your shop is easy, with a 14-day free trial and numerous design templates to choose from. After setup, the platform is designed to grow with you. You can shift up to more powerful marketing tools, payment gates, and designs as your shop grows. Shopify is a safe option for businesses that need a reliable e-commerce platform. BigCommerce offers a high quality service at a fraction of the competitors’ prices. This quality is reflected in the company’s 99.99 percent uptime. When you go with BigCommerce, you can be sure that your shop will never go down. Ipsos research shows that merchants on this platform grow at twice the industry’s average rate. This is a huge opportunity for small businesses targeting large growth numbers. You’ll have a better chance at attaining your goals with BigCommerce than with any other platform. Volusion is an all-in-one solution for your e-commerce needs. Set up is quick and easy, with numerous templates available and no technical knowledge needed. After setting up, you can get to work utilizing the platform’s built-in marketing tools. This platform offers particularly impressive social media features. You can update Facebook, Twitter, Instagram, and all the rest of your profiles from the same place that you manage inventory and payments. This makes Volusion a perfect choice for businesses that want to simplify their workflow. PrestaShop is all about customization. It’s an open-source platform with a large developer community. If you can think of a feature, somebody has probably built it for this platform. These features are called “modules”. The developer who builds a module gets to decide how much to charge for it. Even if you don’t have the budget for expensive add-ons, there are many free and affordable modules to start with. There are 2,000 different templates to choose from on this platform. If you want a boutique design, you can work with an approved partner agency to create the perfect look for your shop. PrestaShop is a great choice if you need a flexible platform. 3dcart is a complete shopping cart software to build your website. This ecommerce platform is one of the best for search engine optimization, with built-in SEO features to help your website rank higher and get more visitors. With no transaction fees and starting at just $19/month, you get access to over 50 free mobile-ready themes, real-time shipping, 100+ payment integrations, a newsletter system, blog, reward points, and more. These make 3dcart a great choice for anyone looking to market their business within a budget. In the end, there is no perfect answer. All you can do is consider the strengths and weaknesses of each platform, looking for the blend that fits your needs. Don’t let analysis paralysis kick in. Set a deadline of one week to make this decision. You may still feel uncertain when the decision is made, and that’s okay. Give it your best effort and you’ll end up with a great e-commerce platform. eBay Store Owners – Are You Using a Custom Template to Boost Sales?